I bought my first car from Roger, he was pleasant, outgoing and was very informative during all of the stages of the car buying process. I recommend this dealer, and especially recommend Roger Shewmaker and Jasmin Mason as the most straight forward and helpful team to help you buy and finance your car! Jamall Blake did an amazing at finding the exact car I wanted. He listened to all my concerns and was extremely patient. Definitely would buy from him again and recommend him! We had a great experience with Sami! He was knowledgeable, friendly and showed genuine excitement for us throughout the whole process. We didn't feel like we were just a sale and the whole process was easy and enjoyable. I called Alexandria VW on a Sunday morning to ask about a car listed on their website. I live in Richmond, so given the 2 hour drive (plus traffic) I wanted to be sure they still had the car I was interested in. Sami double checked that the car was still on the lot and even offered to set the car aside for me since I was coming from about 100 miles away. When I got there, the car was exactly as described/pictured online (which isn't always the case at some dealerships). The price was fair, better than I would've gotten locally even if I'd been able to find the right car. Sami encouraged the sale without making me uncomfortable or being pushy, and I deeply appreciate that. So I'm now the very happy owner of a 2015 Golf TDI SEL. Additional note: the entire process was very quick and easy. Thanks Sami! 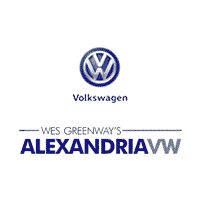 I called Alexandria VW on a Sunday morning to ask about a car listed on their website. I live in Richmond, so given the 2 hour drive (plus traffic) I wanted to be sure they still had the car I was interested in. Sami double checked that the car was still on the lot and even offered to set the car aside for me since I was coming from about 100 miles away. When I got there, the car was exactly as described/pictured online (which isn't always the case at some dealerships). The price was fair, better than I would've gotten locally even if I'd been able to find the right car. Sami encouraged the sale without making me uncomfortable or being pushy, and I deeply appreciate that. So I'm now the very happy owner of a 2015 Golf TDI SEL (my second Golf). Additional note: the entire process was very quick and easy. Thanks Sami! Thank you Sami for being straight forward, efficient and having open communication. You took a stressful situation and turned it into a pleasant experience! Will recommend this dealership to others! Thank you for Mr.Hadley help me to have a good car. You have very excellent attitude. Stopped in to buy a certified pre owned. Enjoyed the experience, not pushy or aggressive and easy to work with. Sami was great. Highly recommended!